Specialty foods stores stand out by delivering remarkable experiences. We do the same for them. Whether you’re selling fresh-baked artisan breads, fine cheeses, craft meats, or gourmet prepared foods, you understand that the experience is key to customer endearment. To keep them coming back, you’ve got to tell them a compelling story about your brand. Specialty foods shoppers are hungry for smart store design, high-touch customer service, easy access to quality ingredients, and outstanding culinary products. Your fans are the ultimate “foodies” and they’re seeking the ultimate epicurean experience. Armagh is committed to the long-term success of our specialty food market partners. By providing innovative solutions, 24/7 support, and consultation based on 4 decades of industry experience, Armagh helps our clients help their customers. Like you, we are dedicated to providing an unforgettable experience. Catapult goes beyond omni-channel and it’s more than unified commerce. It is scalable and responsive thanks to Unified Transaction Logic™. This means all critical areas of operation in your enterprise are connected in real time. Your checkout lanes, deli scale, café, e-commerce, and automated self-checkout terminals all work in unison. Your transaction touchpoints all work as one platform, on one platform. It is a comprehensive solution that enables efficient management of operations. A transaction made in your deli for a gourmet turkey sandwich will process no differently than a bottle of olive oil at a checkout lane, or a web order for one dozen gluten-free cookies. Whether you’re running one location or one hundred locations, Catapult can cover all of it at a lightning-fast pace, no matter the customer volume, time of day, or method of transaction. Catapult features scale integration which is essential for specialty food stores. This means that through Catapult and our POS hardware solutions, you can fully integrate Catapult into your scanner-scales, deli, and prepared foods departments. An associate can place fresh foods on a scale, weigh it, and print a barcode label with the weight, enabling stores to sell items by unit weight for each ring up. Catapult has full-spectrum inventory capability to synergize supply chains. It can replace your current inventory management software and cut down on complexity. 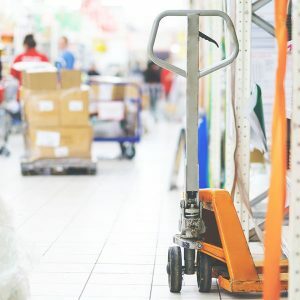 Connect your inventory controls to the rest of your specialty store’s operations, seamlessly. Use the Catapult-powered UPD to put our data in your catalog with lightning speed. The UPD includes valuable information like health attributes, brand, item image, size, receipt alias and suggested retail price. Specialty food shops are thriving in an era where Millennial purchasing power is increasing. But, it’s a competitive culinary game. How can you ensure that your store stays ahead of the rest? A major component is being able to make critical decisions based on real, actionable data. Have you ordered adequate levels of ingredients for a Holiday rush? Is one brand of olive oil outselling another? 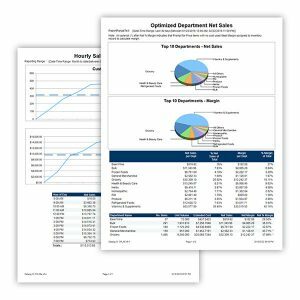 Which specialty brands are driving sales and profitability in your? Who are your top patrons? What are the top-selling items in your café? Is there inventory shrink? If so, where? Catapult’s comprehensive back office management tools enable directors to conduct employee audits, track performance, productivity, and monitor costs. Our value-focused, customer-centric approach creates success stories, not only through comprehensive commerce technology but also with our team of highly-experienced POS Specialists. Our comprehensive approach includes project management, database management, implementation, consultation, technical support, and customer care. Working directly with your stores, our POS Specialists will make sure you’re getting the maximum benefit out of your partnership with us. Our in-house support operation is 100% Canada-based and operates primarily out of our office in Hamilton, Ontario, Canada. Our account managers, serve as friendly, accessible, points of contact to handle your onboarding and technical needs. Technicians are available Monday–Friday, from 8:30 am to 5:30 pm ET. We know problems don’t always honor a 9-to-5 business schedule: emergency 24/7 support is available after 5:30 pm. We provide all of our retail partners with a detailed Support Level Agreement and access to Armagh University, our online video training portal.